Wintec incorporates the best of modern technology in saddles that are practical, ultra comfortable and most importantly, embrace a sense of fun. Our philosophy has always been ‘if we can’t make it better then we won’t make it’. This has meant Wintec is responsible for pioneering many of the modern features in today’s saddles. 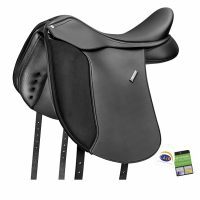 Riders all around the world love their Wintecs for the performance advantages they offer horse and rider. Wintec saddles are all about maximising the fun and minimising the worry and effort – rideable in all weather, scratch resistant, tough as nails, easy-care, lightweight and adjustable for the changing needs of your horse, it’s no wonder they are the world’s favourite saddle.